2Go Travel Promo - SuperFerry Promo 2019 to 2020: Want A Cruise-type party? A universe of happy people converge "In the Navy Style". 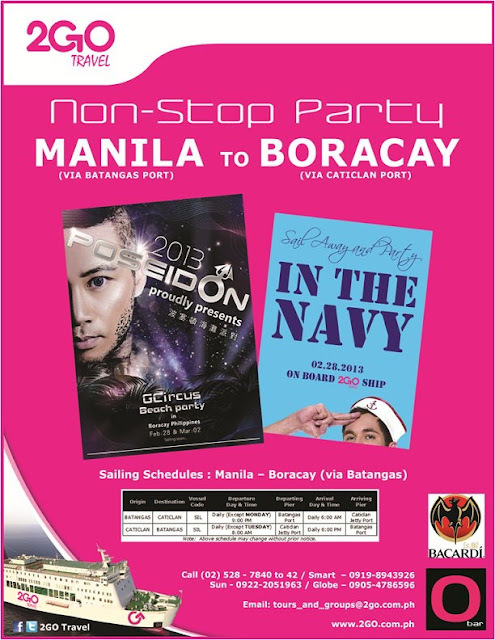 Come aboard, soiree onboard 2GO TRAVEL love boat and experience any party imaginable! Never-ending bash from ship to shores of BORACAY. Keep calm. Sailing will be wild!